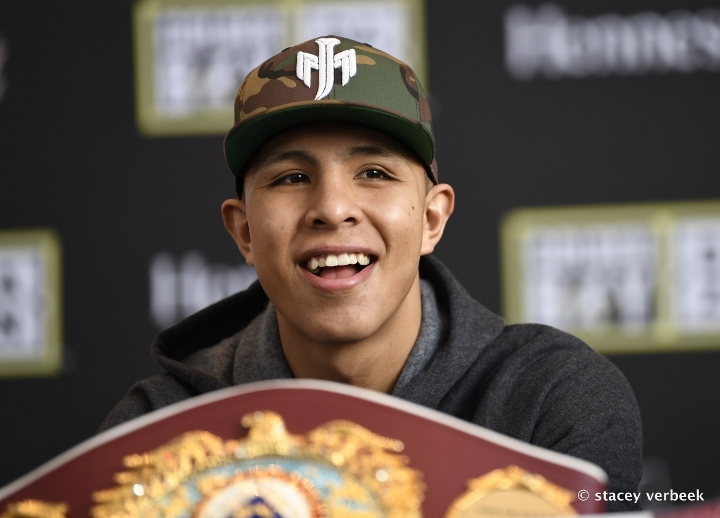 WBO Junior Middleweight Champion Jamie Munguia (31-0, 26 KOs) will defend his titke against undefeated Japanese Takeshi Takeshi Inoue (13-0-1, 7 KOs) at the Toyota Center in Houston, Texas on Saturday January 26th. 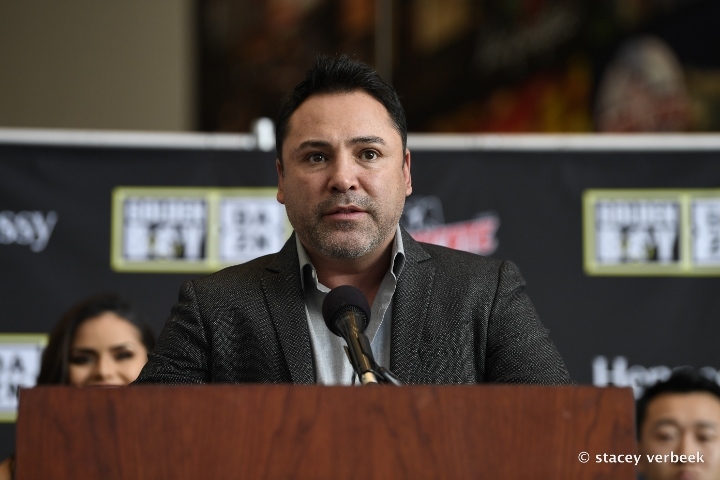 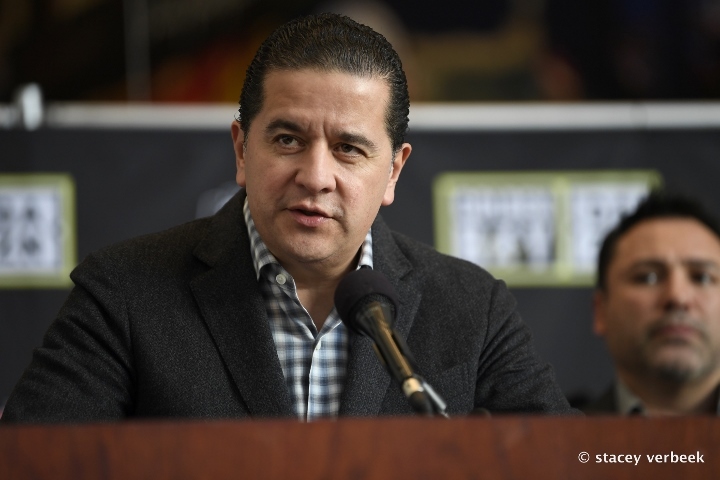 The fight which is promoted by Golden Boy Promotions, it's first on DAZN brought both fighters came together for the final Press Conference and at the end held the final face off before the weigh-in. 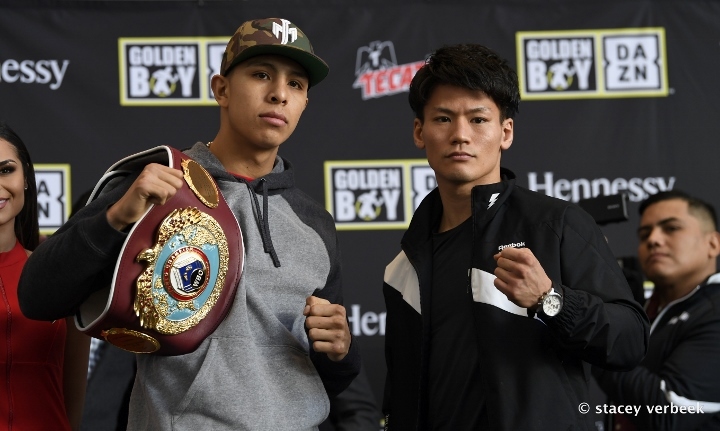 In the Co-main event, Jesus Rojas (26-2-2, 19 KOs) of Puerto Rico will defend his WBA Featherweight World Championship against Chinese contender Xu Can (10-0, 1 KO) in a 12-round fight.